A slave who is forced to fight in a Patriot militia on behalf of his master. 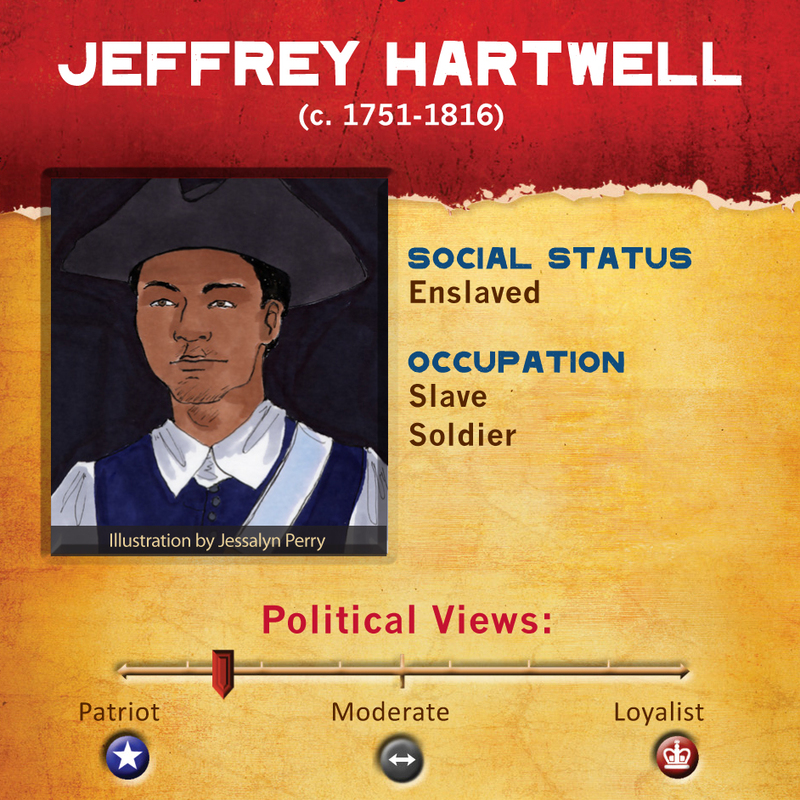 Jeffrey Hartwell’s story is not unique, many slaves fought in place of their wealthy masters during the revolutionary war and some, like him, were granted freedom in return. Some African Americans fought in the hope that ideals of the Revolution would lead to the abolition of slavery. Others may have simply hoped that fighting bravely could earn their own emancipation. Sadly, Jeffrey Hartwell left no records of his own reason for taking up arms. You once belonged to Joseph Hartwell, who gave you your name, but now you are the slave of Joseph Fitch. In 1775, you serve in the Patriot militia at the Battle of Bunker Hill as a substitute for Fitch. When Fitch refuses to give you any of the money you earned as a soldier, you escape and officially enlist in the Continental Army. Perhaps the army is your ticket to freedom; by 1779 you live as a free man.